Assorted bagels with cream cheese, jam and butter. 1 Bagel per person. 10 minimum. 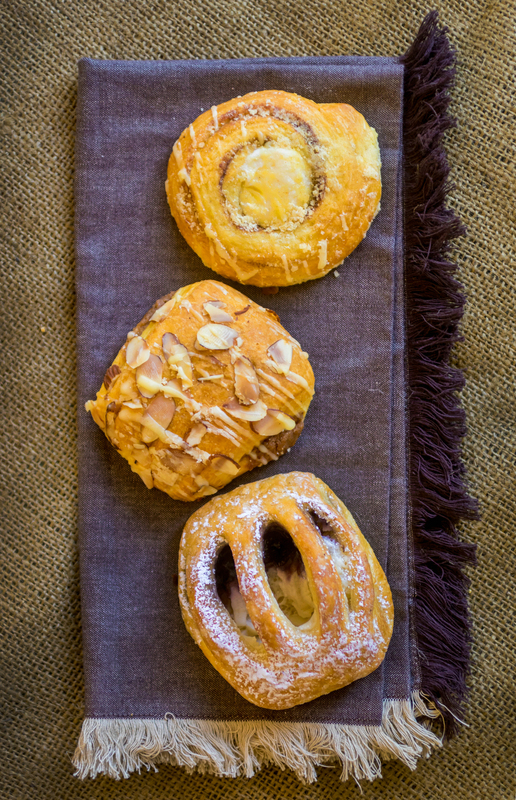 Le Boulanger is proud to offer our hand crafted, made from scratch & freshly baked cinnamon rolls for your enjoyment! 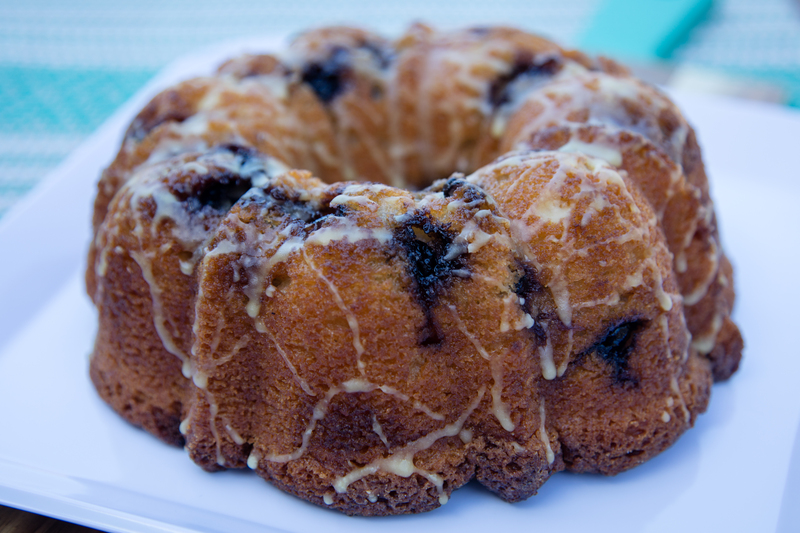 Served with our homemade cream cheese icing, these are sure to please your crowd! 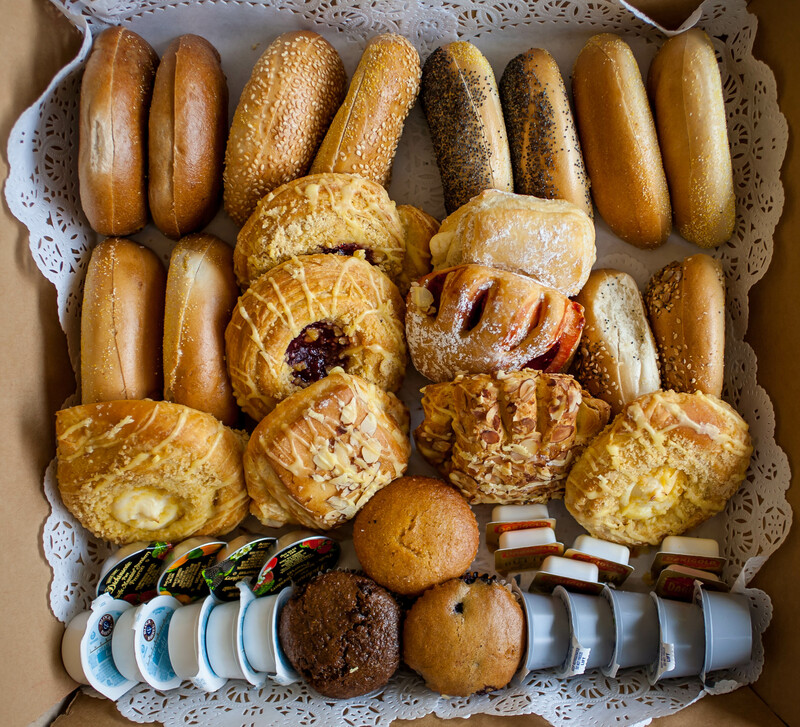 Assortment of our petite pastries and muffins. 2 Items per person. 20 minimum. 1 Pastry and 1/2 bagel per person. 10 minimum.